From getting people to work to transporting goods, automobiles are critical to our way of life. 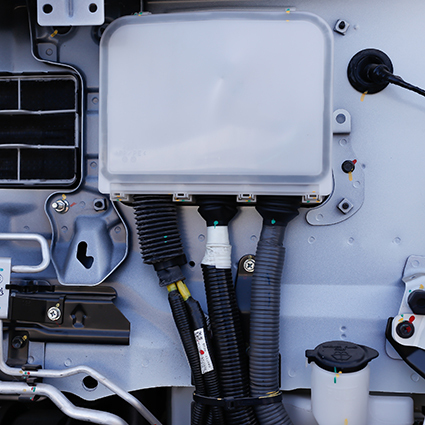 To improve automobile safety, our high-performance POREX® Virtek™ IP-rated PTFE vents for sealed enclosures are designed to provide ventilation and pressure equalization, plus a barrier from dust, water and automotive fluids. Are a sintered structure that is tougher and more durable than expanded PTFE. Can be directly ultrasonic or thermally welded to plastic enclosures, creating a permanent bond. Restricts moisture vapor transmission, which results in less humidity entering into the enclosure during cooling, thereby reducing potential condensation issues. Without the fragility and variability common in non-sintered materials, POREX® Virtek™ PTFE is a unique sintered material that outperforms competitive expanded materials. With its robust porous structure, our vents equalize pressure while minimizing humidity flow into the enclosure and protects enclosure seals from premature failure. 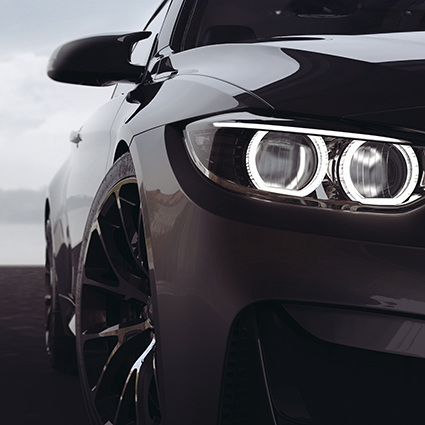 Reduce moisture buildup and condensation– POREX Virtek™ resists the entry of moisture into the headlight enclosure, thus lowering the risk of condensation on the headlamp lens. Stop contaminants from entering enclosure–POREX Virtek™ sintered material repels water, dust, oil and other automotive fluids. Assemble easily–Very robust sintered structure allows easy handling and can be ultrasonic or thermal welding without cumbersome assembly methods. POREX® Virtek™ PTFE is a unique sintered material that outperforms common expanded PTFE. Reduce pressure buildup in sealed enclosures–Air-permeable structure acts as a pressure relief valve, equalizing pressure and protecting enclosure seals from premature failure. Stop contaminants from entering enclosure– POREX Virtek™ sintered material repels dust, water, oils and other automotive fluids. Assemble easily–Sintered structure allows easy handling and ultrasonic welding without cumbersome assembly techniques.